Mr Farage – who has campaigned for the past 20 years for Britain to leavethe EU – told cheering supporters “this will be a victory for ordinary people, for decent people”. UKIP leader Nigel Farage hailed it as the UK’s “Independence Day“, while Boris Johnson said the result would not mean “pulling up the drawbridge”. The European Parliament is to hold an emergency session on Tuesday to discuss the referendum result. On Twitter, EU Parliament president Martin Schulz called for a “speedy and clear exit negotiation”. The New World Order plan to impose bankster-driven global tyranny took a huge hit Friday morning as news of the Brexit victory stunned markets, political leaders and pundits. They obviously hadn’t planned on this. Polls before the vote showed “leave” down 52%-48%. Given the likelihood of pro-“remain” election fraud – the skids for which had been greased by the elimination of exit polls – a pro-Brexit result seemed mathematically impossible. So…what happened? 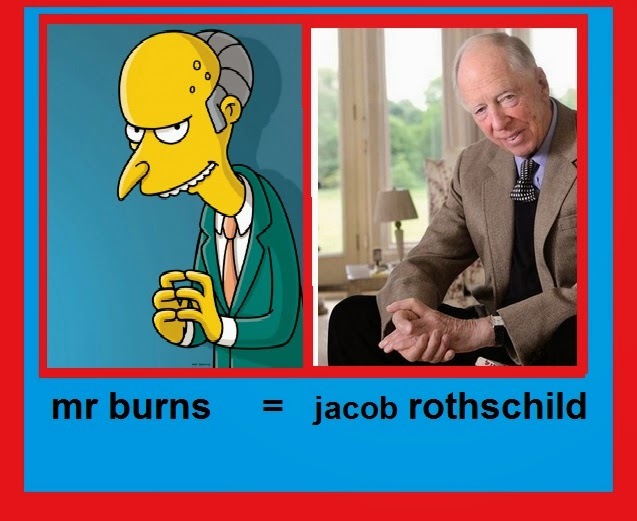 That is undoubtedly what the Rothschilds and their minions are asking themselves as they take a much-needed break from cackling and rubbing their hands together in glee at the cascading successes of their planetary hostile takeover operation, and instead get to experience a tiny fraction of the anxiety that their victims everywhere have been living with for centuries. A poll-forecasted four point Brexit defeat somehow turned into a four-point victory. That’s an eight-point swing overnight. How did it happen? Normally such discrepancies suggest election fraud. But the people with the tools to steal elections were generally anti-Brexit, so I think we can eliminate that possibility. Voting for Brexit, like racism, is politically-incorrect according to establishment ideology. Therefore a certain percentage of people probably misstated their actual intentions to pollsters. This had the happy result of lulling the New World Order elites into a sense of complacency. They probably had a contingency plan to steal the election if it was close. They probably decided they wouldn’t have to to so because the polls showed they would win anyway. Or, conversely, they may have figured they would only have to shave off a couple of points from the pro-Brexit side, not realizing that the polls were massively understating pro-Brexit sentiment. So they may have committed election fraud, but not to the degree that would have permitted them to win. The NWO elites may also have had another reason for complacency: The seeming success of the apparent Jo Cox murder false flag. Prior to the emotion-stirring killing of “heroic anti-Brexit icon” Jo Cox by an apparent Brexit supporter, the polls showed the pro-Brexit side was significantly ahead. In the wake of the Cox murder, a huge swing occurred, putting anti-Brexit forces ahead 52-48% in polls taken on the eve of the vote. The elites who had arranged the false flag were presumably cackling and rubbing their hands in glee. What could possibly go wrong now? On Thursday, countless posts were circulating on Twitter and Facebook suggesting Cox was sacrificed by pro-EU forces. But focusing on the EU referendum ignores a wider divide: between parliamentary democracy and a majoritarian fury. Between respectful disagreement on immigration and dog whistle claims. Between reporting on facts and the kind of paranoid internet conspiracy that labels Cox’s death a “false flag”. The kind of divide that has echoes in US politics and European populism. Virtually all British voters who use the internet heard about these “conspiracy theories.” A significant number believed them, while an even more significant number – likely a majority – gave them at least some credence. Today, more and more people understand that the elites manipulate the population through public relation stunts that appeal to emotions and shut down rational thought. The BBC documentary Century of the Self exposed the legacy of Edward Bernays, father of mass mind control, to the British and global public. Believing in “conspiracy theories,” indeed giving them any credence at all, is wildly politically-incorrect, if not downright heretical, according to establishment ideology. So the very large number of voters who found the timing and style of the Cox murder suspicious would never admit that in a formal setting; on the contrary, when contacted by a pollster, they would be even more likely than before to misstate their intentions in the direction of pretending to be anti-Brexit. But in the privacy of the voting booth, people often go with their real thoughts and emotions. Enough of them, anyway, to occasionally sway elections. 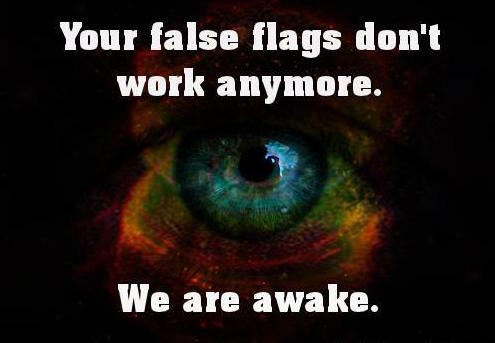 If the above analysis is correct, the wildly-popular “false flag” meme that I have been tirelessly promoting for more than a decade may have been a key factor precipitating this historic first step in the eventual break-up of the European Union and the destruction of the New World Order. Their false flag manipulations don’t work any more. No wonder the whole establishment, led by such supposed intellectual heavyweights as Obama’s former information czar Cass Sunstein, is dedicated to eradicating “conspiracy theories” even if they have to “disable the purveyors” (harass them? cripple them? kill them?) or, worse, burn the Constitution, make conspiracy theories illegal, police the internet, and send people like me to prison for thoughtcrime. But it may be too late. The breakup of the EU, then NATO and finally the whole New World Order project has already been set in motion. Congratulations are in order to all who have contributed to propagating the false flag meme, exposing the New World Order, taking down the DIPS (Dominant Inbred Psychopaths) and clearing the way for a better world. This entry was posted on June 24, 2016 by HKW in Uncategorized and tagged Brexit, BREXIT victory shocks NWO, European Union, Great Britain, Nigel Farage, The European Parliament.